WASHINGTON — The Pentagon will be required to study and formulate an initial plan to develop a boost phase missile defense capability next year, according to the fiscal 2019 National Defense Authorization Act conference report released July 23. Congressional authorizers are requiring the Missile Defense Agency director to establish a program that develops the means to intercept hostile ballistic missiles during their boost — or initial— phase of flight using kinetic interceptors beginning in FY19, according to the report. The capabilities developed within the program should be cost-effective and can be air-launched, ship-based or both, the legislation reads. The MDA is also authorized to enter into partnerships with South Korea or Japan to develop the capability. Congress would require the defense secretary to work with a federally funded research and development center on a feasibility study to provide an initial or demonstrated boost phase capability using UAVs and kinetic interceptors by the end of 2021. 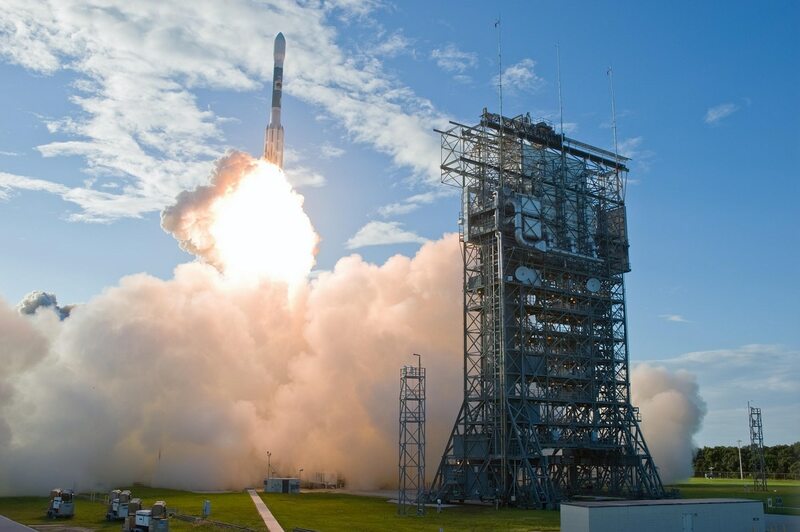 In the previous fiscal year’s NDAA, Congress required the MDA to develop a space-based ballistic missile intercept layer that would be capable of intercepting threats in the boost phase of flight, and lawmakers planned to give MDA one year past the enactment of the legislation to produce a plan to achieve the capability over a 10-year period. The NDAA called for a technology risk-reduction phase with three competitively awarded contracts to mature technologies, algorithms, components and subsystems that would produce a “medium-to-high-fidelity” digital representation of an intercept weapon system and a test schedule that leads to a live-fire boost phase intercept during FY22, if the technology is mature. In a summary of the MDA’s FY19 budget request, it said the agency would continue to work toward putting a laser on a UAV to address boost phase missile defense risks. As the North Korea threat looms, the U.S. Missile Defense Agency’s $9.9 billion fiscal 2019 budget request gets a $2 billion boost over last year. But the MDA did not request any funding in FY19 for laser scaling for a boost phase intercept capability, so Congress is authorizing $50 million to push the effort forward. Senate authorizers had included $80 million for development, but the House authorization won out in conference committee. The FY19 NDAA notes that the funding to move forward on boost phase missile defense development is subject to congressional appropriations. The Senate appropriators want to give the Department of Defense $85 million for boost-phase laser scaling in its version of the FY19 spending bill. The House did not include any related funding in its version of the bill. The senators note that the funding above the budget request would allow the continuation of research and development of the three separate laser-scaling efforts, with a goal of demonstrating a 500-kilowatt laser by 2021 and a “best-of-breed” 1-megawatt laser capability by 2023. The appropriators would direct the MDA to provide a cost estimate and plan to proceed with the FY20 defense budget request.